Swedish duo the Knife brings their bold electro-goth sound to Aragon Ballroom tonight, performing songs from their album Shaking the Habitual. Peter Margasak writes, "The album meets the listener at least halfway, with post-techno beats that render relatively accessible its chilly mix of ominous, pulsing synthesizer, alternately tense and soothing electronic melodies, and hectoring vocals." Petty Fest celebrates the career of a guy most people seem to really like: Tom Petty. Alison Mosshart, Jakob Dylan, John Stirratt, Eric Pulido, Brendan Benson, and more perform his music at the Metro tonight. The event's proceeds benefit Sweet Relief Musicians Fund, which provides financial assistance to aspiring musicians facing illness, disability, and other prohibitive difficulties. 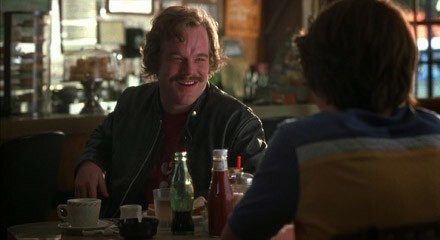 Tonight Sound Opinions presents Cameron Crowe's Almost Famous. Jim DeRogatis and Greg Kot call it, "Crowe's love letter to musical discovery with a note-perfect soundtrack." DeRogatis, a known Lester Bangs aficionado, discusses the late rock critic as well as the passing of Philip Seymour Hoffman, who portrays Bangs in the film. Check out the special screening at the Music Box.